Anthony Castonzo will make his Colts debut on Thursday night. He’s active against the Patriots. The eighth-year left tackle has been sidelined for most of the past few months because of a hamstring injury, one he’s twice aggravated. Frank Reich said he did not intend to use an IR spot on Castonzo, and the first-year Colts coach’s confidence in the edge blocker being ready to return soon turned out to be appropriate. Castonzo participated in three limited practices this week. Here’s the latest from the AFC, going into tonight’s intra-AFC matchup. Indianapolis won’t, however, have the services of its top tackler. Darius Leonard, the NFL’s runaway tackles leader four games into his rookie season, will be out. The Colts tweeted the linebacker is not expected to dress against the Patriots. Both are technically active but are not going to play. An ankle injury is restricting Leonard, who has 54 tackles (seven for loss) and four sacks. He joins T.Y. Hilton, Marlon Mack and Kenny Moore among Colts who aren’t playing in Foxborough. Seantrel Henderson‘s Texans stay did not produce much work. The one-year, $4MM free agent addition suffered a season-ending broken ankle in Week 1 against the Pats. The tackle who recently underwent surgery will be a UFA again in March but wants to return to the Texans. “Of course, I would like to be back,” Henderson said, via the Houston Chronicle’s Aaron Wilson. “I love it here.” Julie’n Davenport replaced Henderson at right tackle but was benched. Kendall Lamm‘s now playing there. The AFC’s Los Angeles team has seen its wide receivers receive as much publicity as the Rams’ have, but the Chargers contingent’s quite deep in its own right. Although, it will be thinner for a bit going forward. Travis Benjamin is expected to be out for at least two weeks, Ian Rapoport of NFL.com tweets. Benjamin’s been battling a foot injury this season. The Bolts hope he can return either for their Week 7 Titans game or after their Week 8 bye. L.A. still has Keenan Allen, Mike Williams and Tyrell Williams, however. Terrelle Pryor only played two snaps against the Jaguars. He’s not happy with his current Jets role. “It’s kind of nerve-racking. I don’t like it,” Pryor said, via Manish Mehta of the New York Daily News, about his usage dissatisfaction. “It is what it is, though. You get frustrated, you know? You don’t go out there and make plays. I’ve shown when the ball comes to me, I make plays. I’m a big play waiting to happen.” Noting Jermaine Kearse surpassed Pryor in Gang Green’s wideout pecking order, Mehta adds Pryor suffered a groin injury during practice last week. Pryor’s experienced persistent injury trouble during his Jets and Redskins tenures. He did not live up to expectations in Washington and saw ankle problems recur in New York this offseason. Pryor, however, is averaging 19.8 yards per catch (eight grabs for 158 yards) but has only received one target the past two weeks. 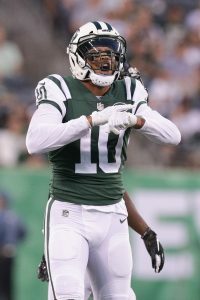 Although there’s been some speculation the Jets could release veteran wideout Jermaine Kearse in the coming months, Kearse seems likely to stick on New York’s roster, according to Brian Costello of the New York Post. Gang Green would save $5.5MM by cutting Kearse prior to the beginning of the regular season, and the club has a well-stocked depth chart at receiver that includes Terrelle Pryor, Robby Anderson, and Quincy Enunwa, among others. However, the Jets certainly don’t need any extra cap space (they’re seventh in the league with more than $20MM in reserves), and Kearse is viewed as a high-quality locker room presence. Perhaps most importantly, Kearse posted the best statistical campaign of his career in 2017 by managing 65 receptions for 810 yards and five touchdowns. The Patriots are expected to keep four or five running backs on their Week 1 roster, but Rex Burkhead, Sony Michel, and James White are the only current locks, as Mike Reiss of ESPN.com writes. Burkhead and Michel, the latter of whom New England selected in the first round of the 2018 draft, figure to split early-down work, while White will take on his familiar role as the Patriots’ passing game back. Brandon Bolden is likely to make New England’s squad thanks to his special teams ability, which sets up a showdown between Jeremy Hill, Mike Gillislee, and undrafted free agent Ralph Webb for the club’s final spot. Webb, notably, received a $70K signing bonus in order to latch on with the Patriots, so he could be a surprise addition to the team’s roster. In a separate piece, Reiss also takes a look at the Patriots‘ wide receiver corps, and notes Julian Edelman (who will begin the year on the suspended list), Chris Hogan, Jordan Matthews, and Cordarrelle Patterson are near certainties for New England’s Week 1 lineup. Former fourth-round pick Malcolm Mitchell, who’s been beset by injuries during his short career, is not a lock for the Patriots’ roster, per Reiss, nor is Kenny Britt. The Patriots exercised Britt’s 2018 option earlier this year, but he’s only guaranteed $150K for the upcoming season. Rookie Braxton Berrios and former first-rounder Phillip Dorsett are among the other New England pass-catchers vying for looks. Jets safety Marcus Maye underwent offseason surgery to correct an ankle issue, but New York is hopeful the second-year defensive back will be available for the start of training camp, per Manish Mehta of the New York Daily News. Maye, a second-round pick out of Florida in 2017, started all 16 games alongside fellow rookie Jamal Adams, but graded as a bottom-15 safety among 84 qualifiers, per Pro Football Focus. Jets head coach Todd Bowles wants both Maye and Adams to make “mental improvements” in the second NFL seasons, per Mehta. The Jets entered Week 17 without much to play for, but the team’s players still had plenty to gain. One such player was Jermaine Kearse, who earned an extra $550,000 in incentives in the team’s loss to New England, ESPN’s Rich Cimini reports. With his fifth and final catch of the day, Kearse brought his season total to 65 grabs which earned him an extra $300,000. He finished the season 810 receiving yards, helping him garner another $250,000. That’s not a bad haul for the veteran receiver, who was signed to a $2.2 MM base salary in 2017. 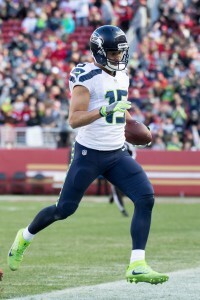 Kearse enjoyed a breakout campaign in 2017, posting career highs in receptions, yards and tying his personal best with five touchdowns. He will be back with the Jets in 2018 for the final year on his contract, which he is set to earn $5 MM in base salary. Cornerback Morris Claiborne is hoping to return to the Jets in 2018, Cimini writes. The free agent said, “Why leave and pick up (and go) somewhere else if you’ve got everything here?” A first-round pick in 2012, Claiborne has just five interceptions during his six NFL seasons split between the Jets and Cowboys. After signing a one-year deal for $2.5MM in the offseason, Claiborne started all 15 games he played in. Giants center Weston Richburg said he has been medically cleared from a concussion for about a month, Dan Duggan of NJ Advanced Media writes. Richburg said he wanted to return to the field but was unable to due to being placed on injured reserve. He suffered the concussion in Week 4 and missed the next three games before being placed on IR. Richburg is set to be a free agent in 2018. Also a free agent in 2018, Giants guard Justin Pugh hopes it works out and he can return to the team, ESPN’s Jordan Ranaan writes. Pugh suffered a season-ending back injury in December but it is expected to be healed in a month without surgery. 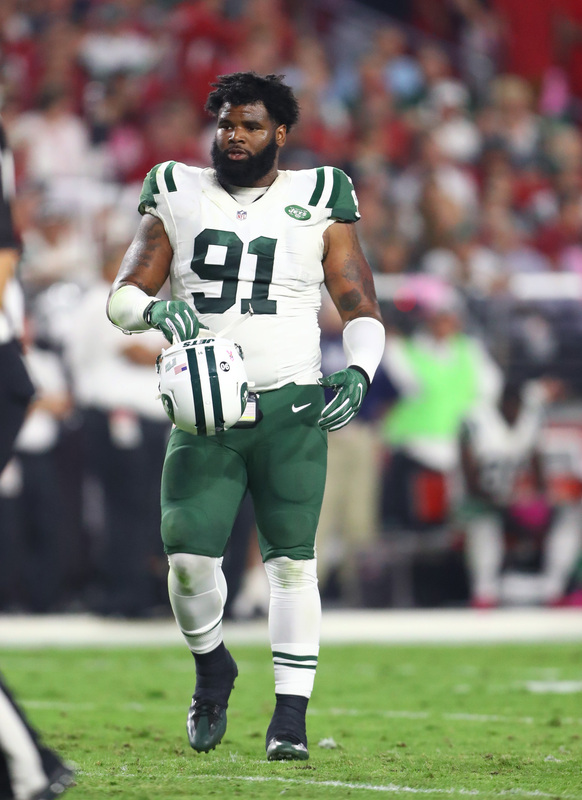 The Seahawks have agreed to acquire defensive lineman Sheldon Richardson and a 2018 seventh-round pick from the Jets in exchange for wide receiver Jermaine Kearse, a 2018 second-round pick, and a 2018 seventh-round pick, per Adam Schefter of ESPN.com (Twitter links). The Jets and Seahawks had been discussing the concept of this deal for weeks, as Ian Rapoport of NFL.com tweets. New York, of course, had been shopping Richardson for much longer than that. Seattle reportedly showed interest earlier this year, but it wanted Richardson to accept a paycut from his $8.069MM base salary. This time around, the Seahawks agreed to take on his full salary. The Seahawks were able to take the hit after reworking receiver Doug Baldwin‘s contract and shedding Kearse’s $2.2MM salary in the trade. Richardson certainly has his warts, which may have contributed to a limited trade market. For one, he wasn’t all that effective last season, as Richardson managed only 1.5 sacks in 15 games (though he still graded out as the NFL’s No. 31 edge defender, per Pro Football Focus). Richardson also comes with off-field question marks, as he has a substance abuse suspension in his past, and has dealt with commitment and tardiness issues. But, if healthy and motivated, the addition of Richardson would give the Seahawks arguably the best front seven in the NFL. Richardson, who can conceivably play either along the edge or on the interior, would join a Seattle defensive unit that also includes Michael Bennett, Frank Clark, Cliff Avril, Bobby Wagner, and K.J. Wright on the front end, and the vaunted Legion of Boom in the back end. The Jets, meanwhile, needed a wide receiver following a season-ending injury to Quincy Enunwa, and Kearse will add experience to a group that includes rookies ArDarius Stewart and Chad Hansen. Kearse, 27, posted 41 receptions for 510 yards a season ago, but Seattle has developed enough wideouts — including Paul Richardson, Tyler Lockett, and Kasen Williams — that Kearse wasn’t needed any longer. The Seahawks had been shopping him earlier this week, and the Browns were among the interested parties. For a rebuilding club like New York, adding a veteran piece such as Kearse doesn’t make a ton of sense, so it’s possible the Jets took on Kearse simply to help offset Richardson’s salary. Gang Green won’t take on any dead money by trading Richardson, while Seattle will incur roughly $1.83MM in dead cap during the upcoming season as a result of dealing Kearse. Gee Scott of ESPN Radio (on Twitter) first reported that Kearse had been traded to the Jets. 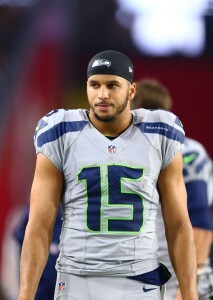 The Browns are interested in Seahawks wide receiver Jermaine Kearse, a source tells Mary Kay Cabot of Cleveland.com. The Seahawks have him on the block as Saturday’s roster deadline approaches. Kearse is coming off of a down year and is set to enter the second year of a three-year, $13.5MM deal. He doesn’t hold as much appeal as he did this time last year, but the Browns could use someone with his experience level to round out their thin receiving corps. Free agent Kenny Britt and Corey Coleman will serve as the top two receivers, but converted running back Duke Johnson and late round 2016 picks Ricardo Louis and Rashard Higgins are the next ones in line. So far this preseason, Coleman has been the Browns’ only reliable performer. Even Britt has looked shaky, and that has the Browns looking for outside help.